CBC National Bank Mortgage funded an impressive $2.8 billion in 2015. 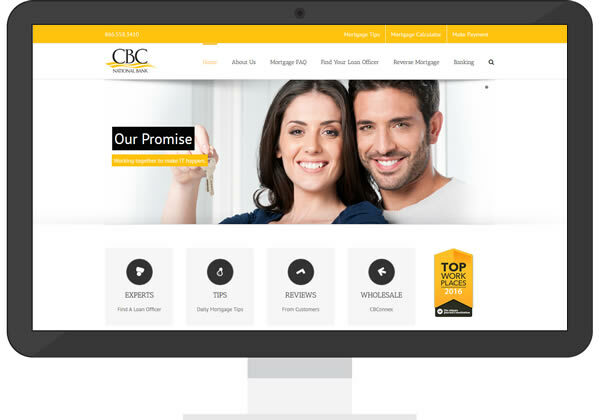 With over 300 employees and 17 locations, CBC needed a website that could handle a large volume of loan officer sales pages. We built the first site initially for the mortgage team branch in Alpharetta, Georgia. We initially used custom HTML and PHP, but the current refresh was built using WordPress. This site’s design is responsive, which means that the layout adjusts from one screen size to another. In other words, the site is mobile friendly which is great for search engines today.